My newest digital painting to go on sale where it can be bought at posters and fine art prints and on gallery wrapped canvas. It's also available on gift items at zazzle.com/waterart that tiger lovers and lovers of wildlife may like. 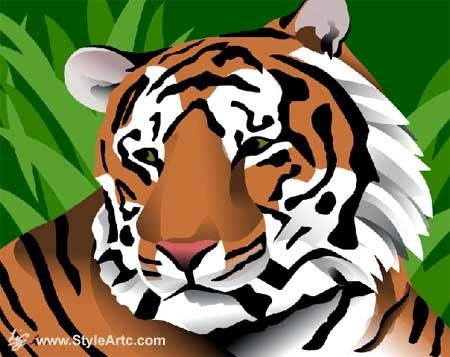 The tiger was based on an original watercolor painting and made in vector graphics program.